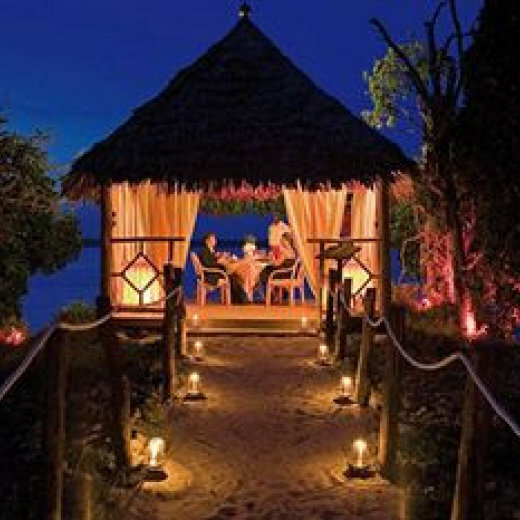 TEMPLE POINT RESORT is a famous resort at WATAMU NATIONAL PARK at INDIAN OCEAN and MIDA CREEK. It offers a unique view and adventure to make safaris on the water, go for bird watching and give a historic feeling within the nice Swahili stile Cottages. The 100 rooms resort has a 4 star standard with 2 bars and 2 restaurants and a boutique. It has sport facilities of motor boat trips for picnic and bird viewing, catamaran sailing, wind sky ting, snorkelling and diving. You can do archery, tennis, volley ball, bicycle riding and beach walks. The exceptional food give a taste of Kenya, India and international cooking. You can get any kind of massage and treatment. Its an ideal place to hide away and learn about Kenya how healthy people lived years ago. The small temple of TEMPLE POINT has 800 years of history.